You are free to place your bicycle in the multi-purpose area of the erixx. We kindly ask you to secure your bicycle well. You can use the preinstalled belts for this purpose on our Hanover – Buchholz and Bremen – Uelzen routes. We kindly ask you to understand that prams/pushchairs and wheelchairs always have priority. Therefore, taking along a bicycle is always dependent on the available capacities. Consideration for people with limited mobility should go without saying for all cyclists. 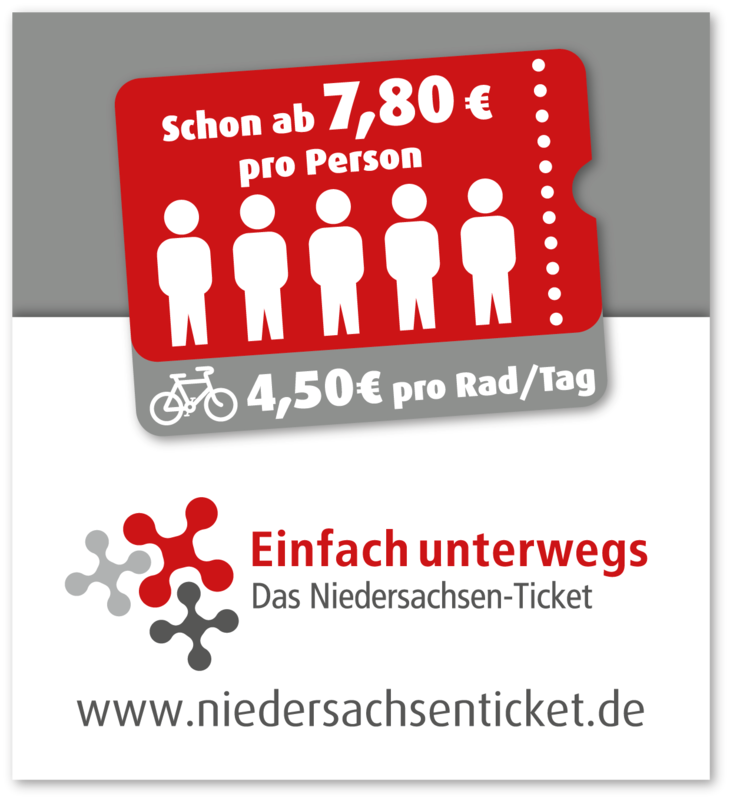 Please remember to purchase a valid bicycle ticket before starting your journey. There are only a few exceptions in which taking along a bicycle is free of charge within the associations. We are happy to be of service in this case regarding fare information. Our vehicles offer sufficient space to easily and securely stow larger pieces of baggage. Simply use the luggage racks above the seats or on the sides of the vehicle’s entrance areas for this purpose. And, if that does not suffice: You can find plenty of space for your suitcase in the multi-purpose area. There, you can also additionally secure your baggage using belts.